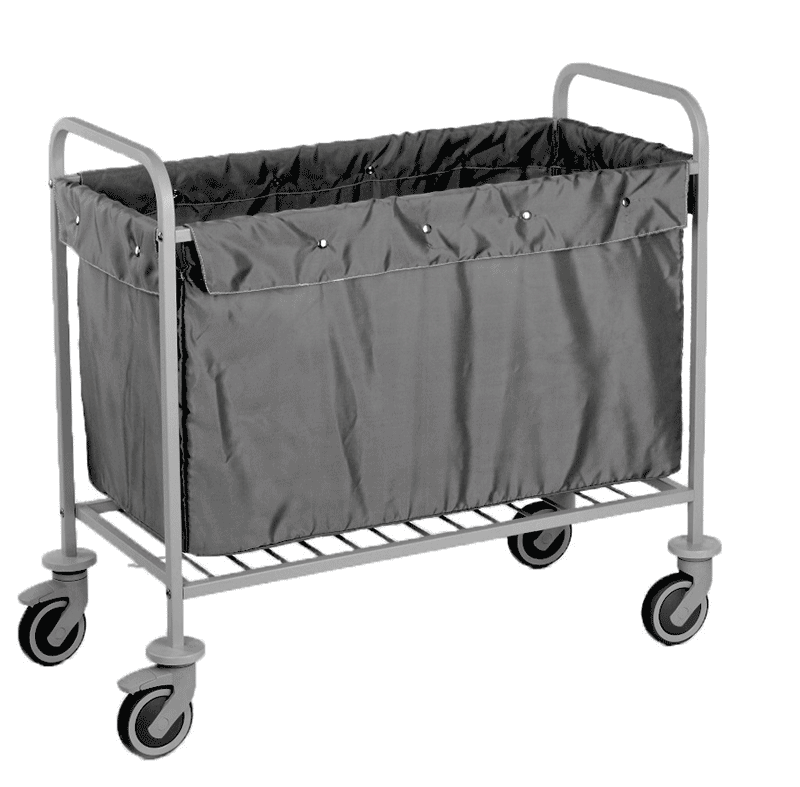 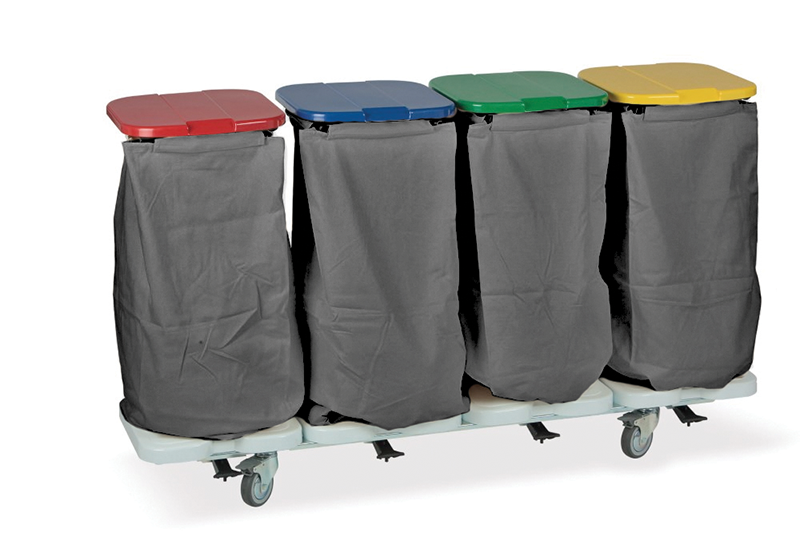 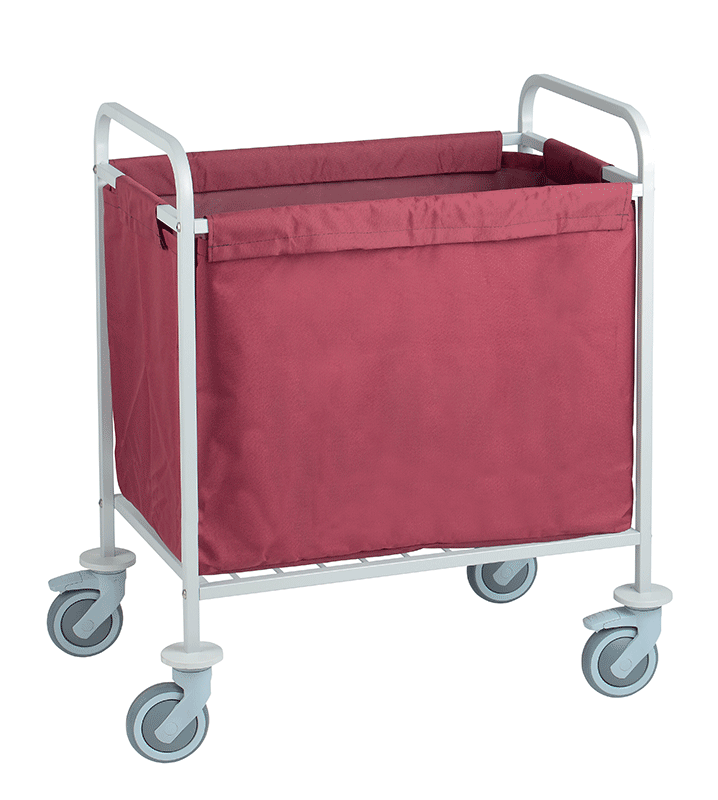 The TRISAC ALU is a mobile linen sorting system and its attractive is in its structure. 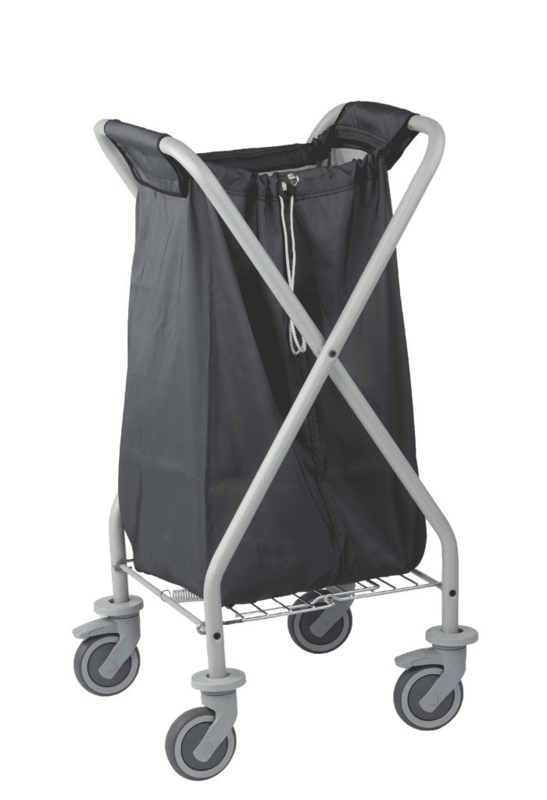 It is made of anodized aluminium which is not only light in weight, but also durable; available in up to 4 moduls. 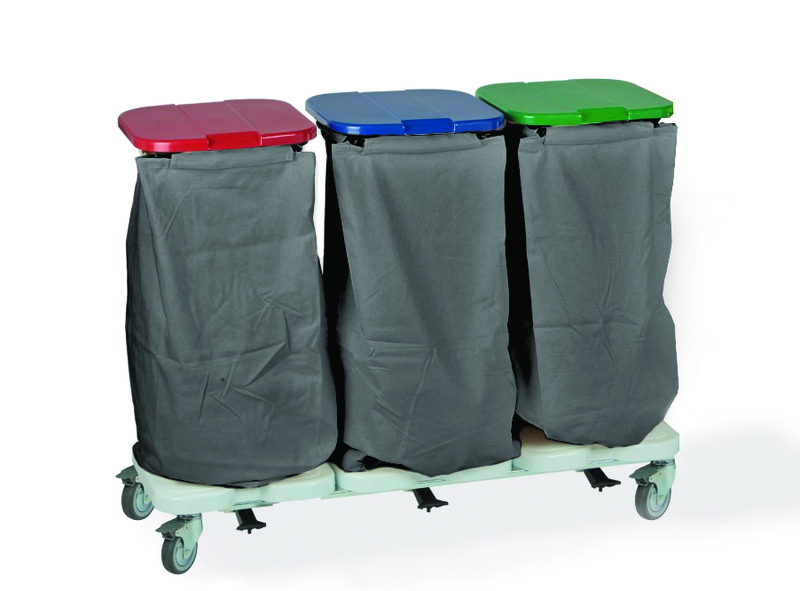 The TRISAC helps to organize linen with up to 3 moduls, including linen bags of 87 Liters each. 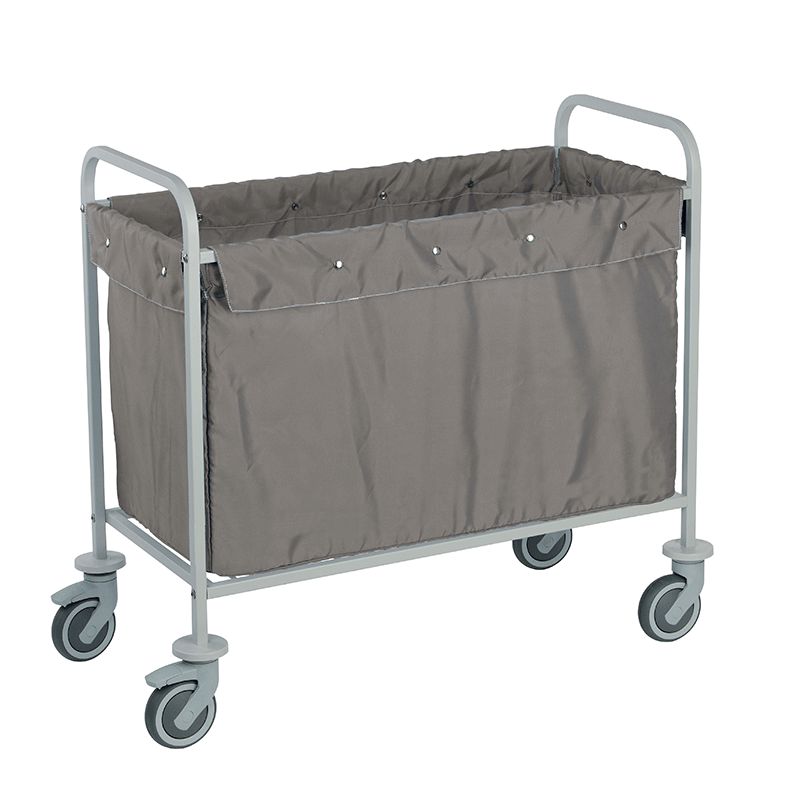 The SIRIO finds its duty in the laundry area, in the corridor, or at the pool thanks to its easy handling and its silent and sturdy properties. 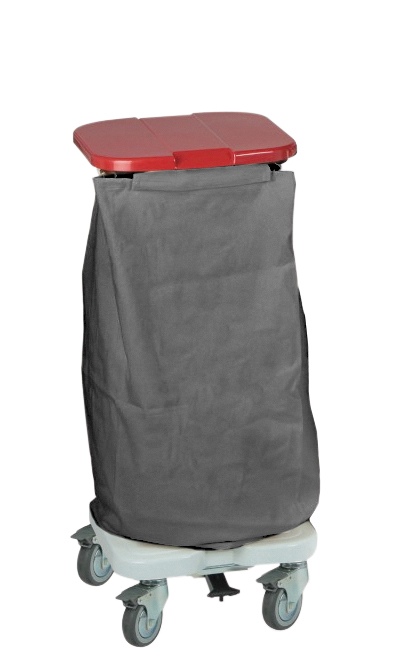 Can be stored stacked. 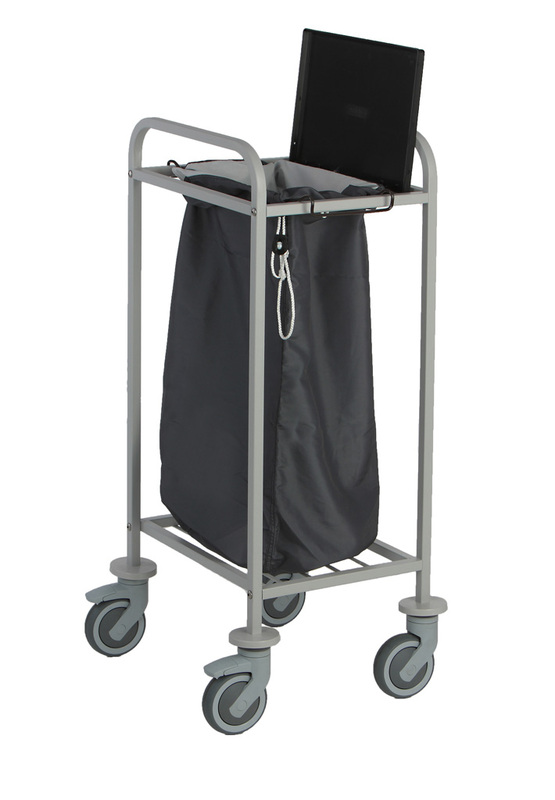 The CADDIE X has proven itself useful as a classic corridor accessory. 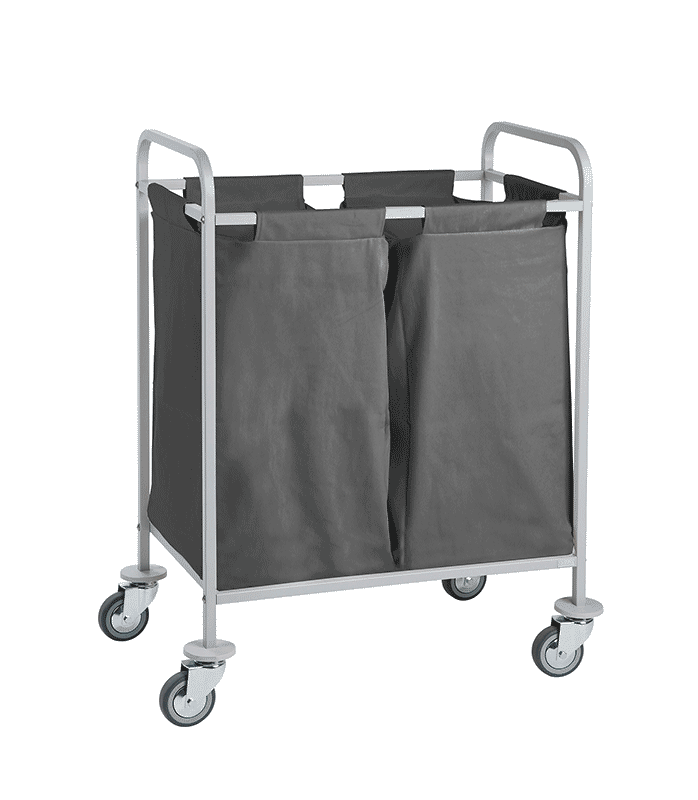 It transports a massive quantity of soiled linen at around 150 Liters. 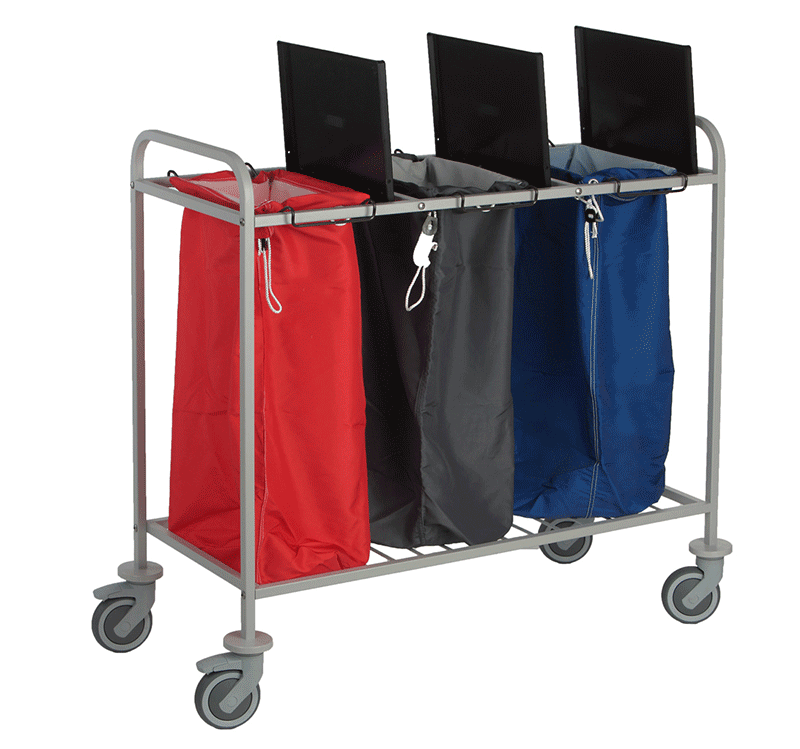 It is also completely foldable when not in use. 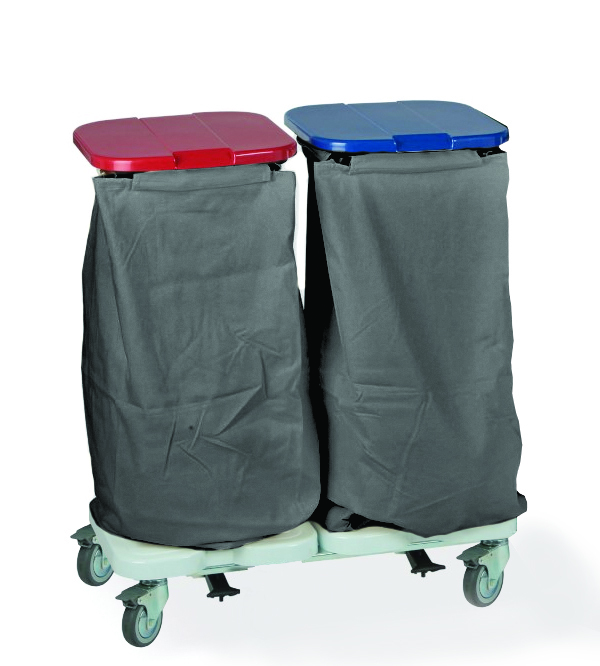 The IBIZA TRISAC 2 is combining the best of our two topsellers: the light and sturdy construction of the sac laundy trolley and the possibility of linen sorting like the trisac moduls offer. 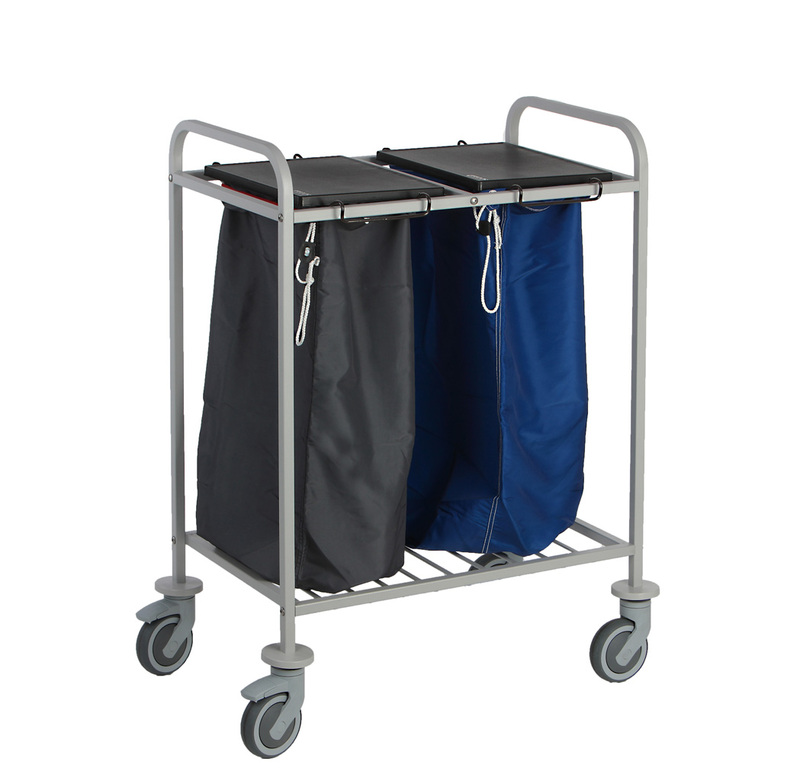 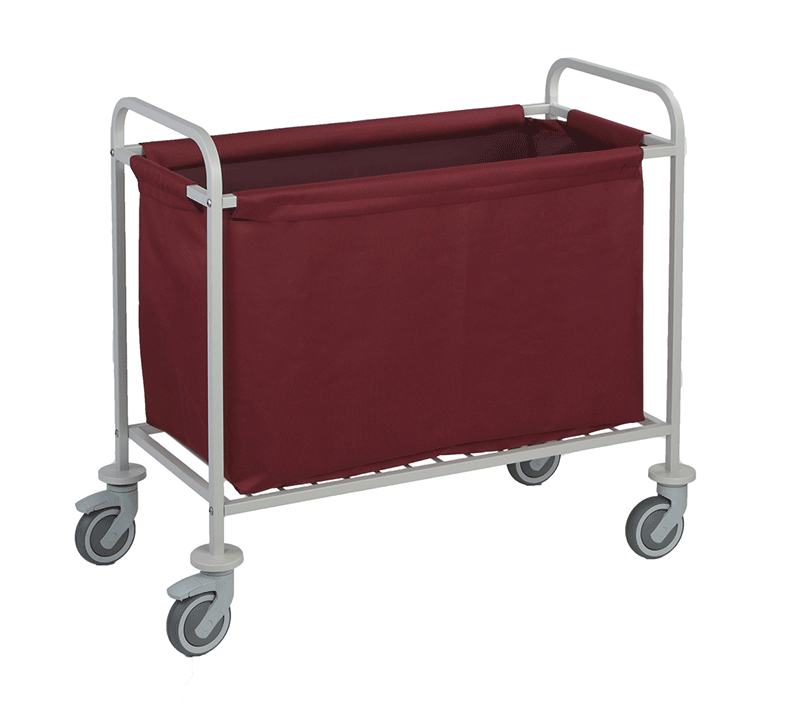 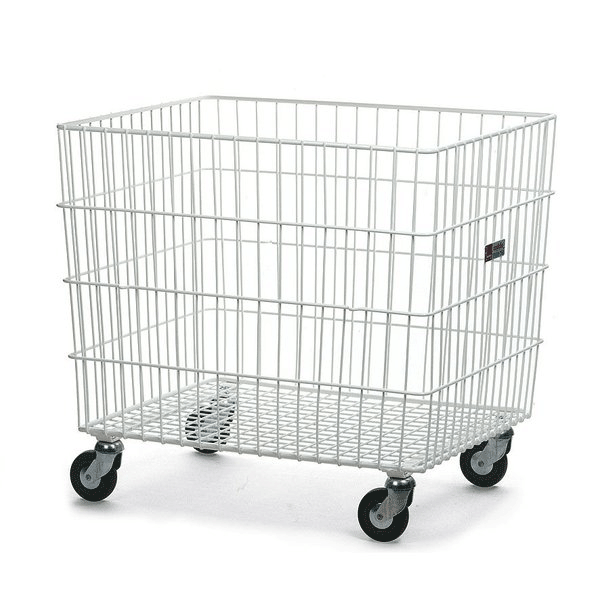 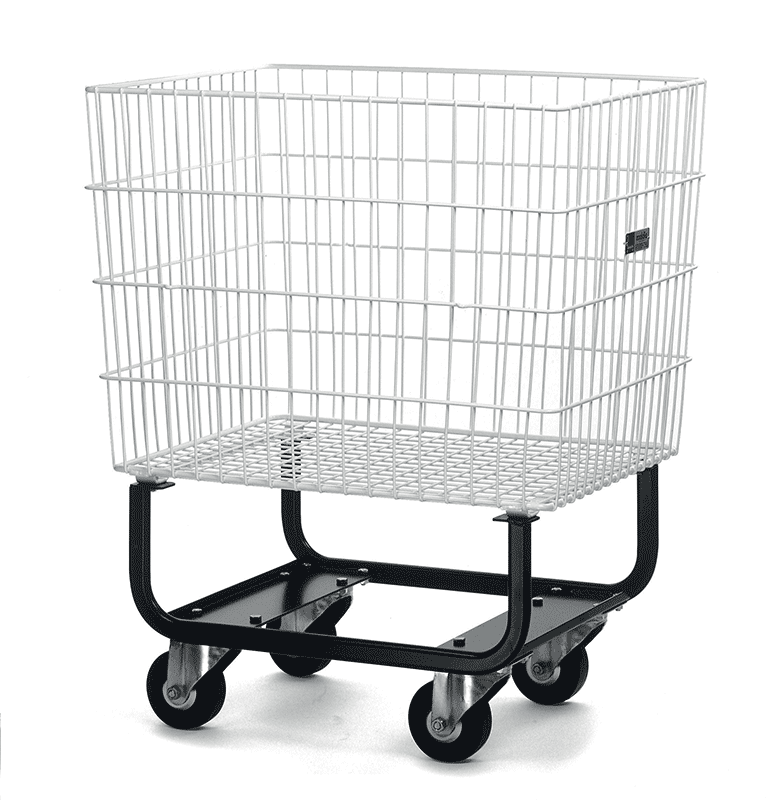 Strong and durable SAC EASY is the model among the most compact laundry service trolleys.